According to the suit, the plaintiffs are seeking declaratory and injunctive relief against “certain provisions of ICWA and the accompanying BIA guidelines” on behalf of “A.D.,” a 10-month-old baby girl who is an enrolled member of the Gila River Indian Community. Another child plaintiff is a 4-year-old boy who is a member or eligible for membership in the Navajo Nation. The birth parents of both children have had their parental rights terminated by the state and both children reside off-reservation in Arizona. The Navajo Nation, as outlined in the brief, has repeatedly attempted to find ICWA-compliant homes for the boy – all of which were rejected by the state as “inappropriate” placements. If not for the Indian Child Welfare Act, according to the brief, the boy would already be in a permanent home under “race-neutral” Arizona law. But the original author of the Indian Child Welfare Act, retired South Dakota Sen. James Abourezk, took the Goldwater Institute to task for its attempt to overturn one of his signature legislative achievements during his time in the United States Senate. Ironically, Abourezk’s late friend and colleague Sen. Barry Goldwater actually voted in favor of ICWA when it was approved by the Senate in 1977. But ICWA has come under assault in courts all over the country in the last several months, say legal experts, in states unwilling to deviate from the “business-as-usual” approach, in which an average adoption can bring anywhere from $40,000 to 100,000 in fees and costs for private adoptions, depending on various factors, including living expenses for the birth mother. But the litigation, said observers, strikes at the heart of not only of the Indian Child Welfare Act, but also the keystone of tribal sovereignty as a whole – the right of Indian tribes to determine their own membership and raise their children in their home communities. The federal tribal recognition rules in place require a tribe to prove its continuous community and political authority since first contact with European settlers. Washburn’s proposal would change that to allow a petitioning tribe to demonstrate it has maintained a state reservation since 1934. Washburn‘s new regulation would also allow tribes that have been denied recognition to apply again. A new, final Indian recognition rule will be posted within 60 days. It could be modified again based on the comments of the Malloy administration and others, including Connecticut’s tribes. Gov. Malloy, the Connecticut congressional delegation and most of the state’s political establishment, have pushed back harder than anyone on the proposed rules, even after the BIA changed them to include a provision aimed at blocking three tribes that have long sought recognition in Connecticut — the Eastern Pequots, the Schaghticokes and possibly the Golden Hill Paugussetts. The BIA had given the Eastern Pequot and Schanghticoke tribes acknowledgement, then withdrew it after an appeal by the state. At the behest of Connecticut officials, the proposed rules were modified so those who opposed the tribes’ recognition previously would have veto power over a new attempt at recognition. “The BIA failed to consider the long, oppressive history of the state of Connecticut,” wrote Kathleen Sebastian Dring, an elder of the Eastern Pequot Tribal Nation, in her comments to the agency. “As citizens [Eastern Pequot tribal members] are entitled to the equal protection of laws in accordance to the U.S. Constitution,” Dring said. “Nor does the U.S. Constitution provide that a state and its political subdivisions may exercise an absolute veto over the exercise of constitutional authority vested exclusively in the United States government,” Velky wrote. Jepsen also said he is concerned the proposed regulations wouldn’t block “splinter groups” of Indian tribes from seeking recognition. Under the proposed rules, the Schagticoke Indian Tribe, a group of Indians that rejected the leadership of the Schagticoke Indian Nation, might be able to apply for federal acknowledgement – and since they were never denied recognition, no veto provision would apply. The BIA had granted a Malloy administration request for more time to submit its public comments. The deadline was pushed back from Aug. 1 to Sept. 30. The entire Connecticut congressional delegation signed a letter that supported the administration’s objections to the proposed recognition rules. The letter backed all of the Malloy administration’s objections and asked the BIA to eliminate the proposal that allowed rejected tribes to petition again for recognition, because the consent requirement or third-party veto, would be challenged in court. “We note that at least one party is objecting to the consent requirement, contending it may be unconstitutional,” the lawmakers’ letter said. In all, 255 comments were filed. Many came from tribes and most, like the comment from the National Congress of American Indians, supported Washburn’s efforts. MASHPEE, Mass. (AP) – American Indians attending a Tuesday hearing at the Mashpee Wampanoag community center on Cape Cod said they support the federal government’s plan to make it easier for tribes to gain federal recognition. But the tribal representatives, from New Jersey, Virginia, Missouri, New England and elsewhere, urged the U.S. Department of the Interior to go further. They called for setting a time limit on the review process, which can sometimes take decades. “There’s something wrong when a process takes more than a generation to complete,” said Cedric Cromwell, chairman of the tribal council for the Mashpee Wampanoags, which won federal recognition in 2007 after a 30-year quest. Federal recognition brings tribes increased government benefits and special privileges, including seeking commercial ventures like building casinos and gambling facilities on sovereign lands. Tribal leaders also strongly objected to a proposal they said effectively gives “veto power” to certain “third parties” when a tribe seeks to re-apply for recognition. Dennis Jenkins, chairman of the Eastern Pequot Tribal Nation in Connecticut, said the provision would allow states, municipalities and other organizations that oppose tribal recognition to stand in the way of the federal decision-making process. “It would be next to impossible for us to re-apply if this proposal goes through,” he said. One attendee, meanwhile, suggested the proposed changes would “devalue” federal tribal recognition by setting the bar too low. The hearing was the last in a series of nationwide meetings on the proposal, and the only one held on the East Coast. The Mashpee, who hosted the meeting, are among only 17 tribes that have been recognized by the Interior Department since the process was established 35 years ago. The majority of the 566 federally-recognized tribes in the U.S. earned that status through an act of Congress. The Interior Department proposes, among other things, lowering the threshold for tribes to demonstrate community and political authority. Rather than from “first sustained contact” with non-Indians, tribes would need only to provide evidence dating back to 1934, which was the year Congress accepted the existence of tribes as political entities. 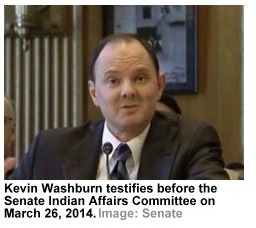 Washburn said that proposal, in particular, could help “level the playing field” among tribes. Eastern tribes, he said, would otherwise need to provide a much more exhaustive historical record – sometimes dating as far back as 1789 – than their western counterparts. WASHINGTON – The U.S. government turned its back on the descendants of freed slaves of Native Americans, swindling them out of lucrative land royalties allotted to them as children, a class action claims in federal court. Leatrice Tanner-Brown and the Harvest Institute Freedman Federation sued Secretary of the Interior Sally Jewel and Assistant Secretary of Indian Affairs Kevin Washburn, seeking an accounting of revenue from leases on land promised to children of Freedmen, who were liberated by citizens of the so-called “Five Civilized Indian Tribes” or Cherokee, Choctaw, Creek, Chickasaw and Seminole nations. Some of the forfeited land was allotted to the freed slaves and their descendants. The Department of Interior in 1908 agreed to keep track of revenue from leases on land granted to Freedmen minors or their descendants. “Notwithstanding demand from plaintiffs for an accounting of revenue from leases on restricted lands during the period that these lands were held by Freedmen minors and not subject to alienation, defendants have failed to provide the requested accounting,” the complaint states. The claims says many of these allotments were for oil-rich land, and the government allowed grafters and speculators “anxious to obtain oil-rich lands for little or no payment to allottees” to exploit the often unsophisticated and uneducated Freedmen. According to the complaint, there were 23,405 Freedmen in 1914. “Defendants breached their duty to avoid conflicts of interests and to monitor Freedmen allotments in favor of alienation of European settlers, Oklahoma statehood, and corporate interests,” the class claims. They want an accounting of money collected from the allotted lands and declaration of the government’s fiduciary duties. They are represented by Paul Robinson Jr. of Memphis, Tenn.
Bureau of Indian Affairs programs would receive a 1.2 percent increase over this year’s enacted amount under the White House budget proposal for the next fiscal year. The budget request totals $2.6 billion for Indian Affairs – $33.6 million more than fiscal 2014 enacted, said Interior Department Assistant Secretary Kevin Washburn during a Senate Indian Affairs Committee Wednesday hearing. Tribal self-determination and self-governance programs have eclipsed direct service by the Indian Affairs Bureau at DOI, Washburn said. More than 62 percent of the appropriations are provided directly to tribes and tribal organizations through grants, contracts and compacts for tribes to operate government programs and schools, Washburn said. But committee Chairman Jon Tester (D-Mont.) said the budget request isn’t enough. He said the percentage increase for Indian Affairs pale in comparison to increases at other part of the DOI. The National Park Service request is for 22.2 percent more than this year and the Land Management Bureau request is 6.1 percent more. But Washburn argued that Indian Affairs budgets under Obama have been larger in the last five years than another other parts of the DOI. The BIE budget request for fiscal 2015 makes up $2.6 billion of the agency’s $11 million total request. Other parts of the DOI might see a larger percentage increase under the request, Washburn said, but they make up much smaller parts of the agency so the comparison is apple to oranges. Assistant Secretary – Indian Affairs Kevin Washburn announced November 12 a finalized rule that aims to resolve some problems created for tribes by a recent U.S. Supreme Court decision, which said that a litigant can sue for up to six years after the U.S. Department of the Interior takes lands into trust for tribes. The court ruled in June 2012 in Match-E-Be-Nash-She-Wish Band of Pottawatomi Indians v. Patchak that the law does not bar Administrative Procedure Act challenges to the Department of the Interior’s determination to take land in trust even after the United States acquires title to the property, unless the aggrieved party asserts an ownership interest in the land as the basis for the challenge. In the case at hand, it allowed a lawsuit to go forward challenging a tribal casino in Michigan from opening, despite the suit being filed three years after Interior took land into trust for the tribe. More broadly, it left the door open for costly lawsuits years after tribal projects, including casinos, housing and healthcare facilities, have broken ground. The new rule partially addresses the issues by ending a 30-day waiting period Interior established in 1996 for the assistant secretary to take land into trust for tribes wanting to develop casinos on such land. That so-called “self-stay policy” was meant to give parties a heads up in case they wanted to file suit. The rule clarifies that the assistant secretary’s decision is final, and it allows the assistant secretary to take the land into trust with no waiting period. Lawsuits, though, are still a possibility. The new rule also includes a 30-day appeal period for Bureau of Indian Affairs land-into-trust decisions that do not involve casinos. If parties do not file an appeal within 30 days before the Interior Board of Indian Appeals, then they will lose the right to do so ever. 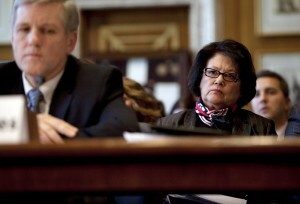 “If an appeal isn’t filed in 30 days, it’s golden—the land is in trust, and it’s secure [for tribes],” Washburn added. Washburn previously admitted that there are shortfalls for tribes here because, under the rule, Interior will be providing wider notice of its decision to acquire land. He said the benefit of the rule outweighs that risk: “If people have concerns, we need to get them out of the bushes and get them to raise their concerns within 30 days—not wait 5 years and 11 months,” he said. He predicted that critics of the administration’s tribal land-into-trust policies, including Sen. Dianne Feinstein (D-Calif.), will appreciate that the policy codifies that parties in opposition will be contacted by Interior. “I think that’s a change that she will appreciate,” he said. Beyond the administration, tribal advocates have been asking Congress to pass a true “Patchak patch” that would say that once the United States takes land into trust for tribes, the decision is completely immune from lawsuits whether the lands are intended for casinos or other uses. According to the Department, 38 tribes and tribal organizations commented on the proposed rule before it was finalized, while 16 from state, county, or local governments and organizations representing such governments commented and 12 members of the public, including individuals, advocacy groups and other organizations commented. Most tribal commenters were supportive of the rule, although there were some tribal objections, while most state, county, or local governments and organizations and members of the public were opposed to the rule. 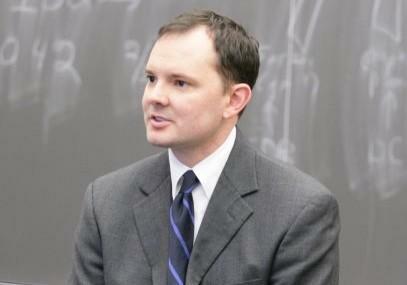 Michael Anderson, an Indian affairs lawyer with Anderson Indian Law, said the new rule is a positive one for tribes. “This is a good development and could shorten the current six-year statute of limits under the Administrative Procedure Act to challenge Interior land-into-trust decisions,” Anderson said. The final rule is online here.